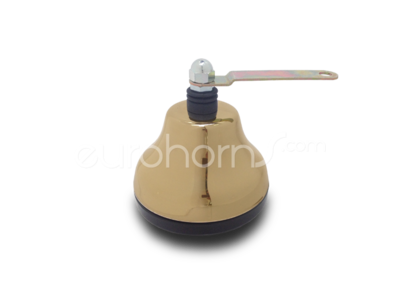 Brass Bell made to fit and sound in 12v vehicles such as cars, mopeds/scooters, and boats. Often also referred to as a tram bell. Rings like a bell...., because it is one. product for road legal vehicles, but hey, it sounds like fun! by a 12v signal (don't hold the button down longer than 3 seconds). This bell is not traffic bell, which is permitted by traffic regulations!